Our office is located at 2756 Richlands Highway, off of Hickory Road. We are right behind the IHOP and in the same building as the Tractor Supply Co. At Peak Performance – Jacksonville South, we are committed to providing natural and conservative care to those in Jacksonville, NC, in the safest, easiest, and pain-free ways possible. To schedule your appointment or send over patient information, you can call us at (910) 378-0147 or send us a fax at (910) 219-4119. Our treatment plans at Peak Performance – Jacksonville South are aimed at providing pain relief, promoting healing, and preventing future injuries. We do this through sophisticated methods and tools, such as movement investigation and gait analysis, in order to determine what course of treatment is best for you. Our patients benefit from the fact that we employ a combination of functional tools and advanced technology to improve joint and muscle movement. Most of our patients have reported pain relief after just a few short sessions! 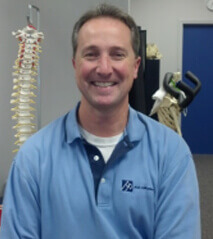 Our dedicated team at Peak Performance – Jacksonville South consists of Darrin Madole, DPT, MS, ATC, Dip. Oseopractor, Cert. 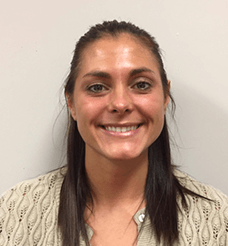 MDT, CSCS, EAS; and Cathryn (Kayla) Wilson, DPT. At our practice, we are passionate about bringing our patients to their highest level of performance, with the least amount of discomfort. We have received wonderful testimonials from our patients, and their success stories have rooted us as one of the most preferred physical therapy practices in Jacksonville. Peak Performance – Jacksonville South treats patients of all ages, with varying degrees of conditions. Our highly experienced team is here for YOU, and we would love to meet with you for a consultation. Our extensive knowledge on all aspects of treatment and care for our patients has positioned us as a favorited physical therapy practice in Jacksonville. We work closely with our patients to provide the best individualized treatment plans for their needs, many of whom report finding relief after just a few short sessions. If you are looking for relief, look no further – we are here to help. Schedule a consultation with us today and we will help you look forward to a pain-free tomorrow.